The latest in state-of-the-art car wash technology has arrived at 24 Hour Max Car Wash. It is the Istobal MX22 which has more sensors and relays to get optimum pressure for superior cleaning performance. We are the only Touch free automatic car wash provider currently in Fallbrook. Since Cristian took on the business, he has been remodeling and acquiring the best in car washing machinery. 24 Hour max carwash provides a highest quality products and equipment. Our Fallbrook car wash is the perfect marriage for any car owner who wants to bring the shine back into his or her vehicle. 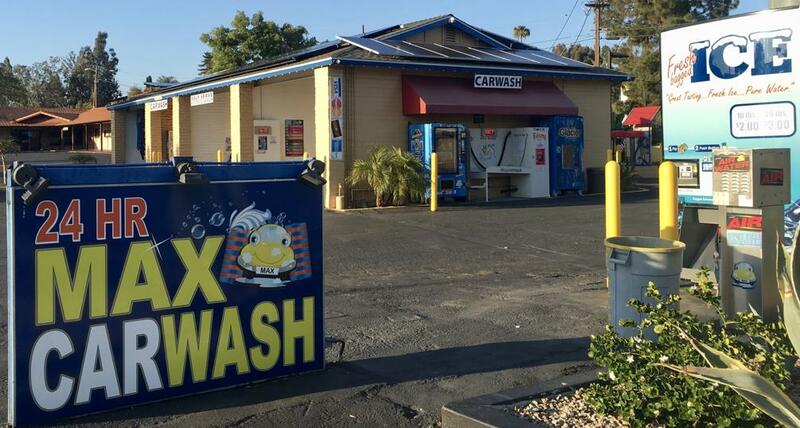 24 Hour Max Car Wash in Fallbrook provides the best experience for people who want to wash their car themselves using a state-of-the-art automatic car wash. We invite you to come on in and check us out. Diligence is our motto. We maintain high standards for each car that passes through our facility.